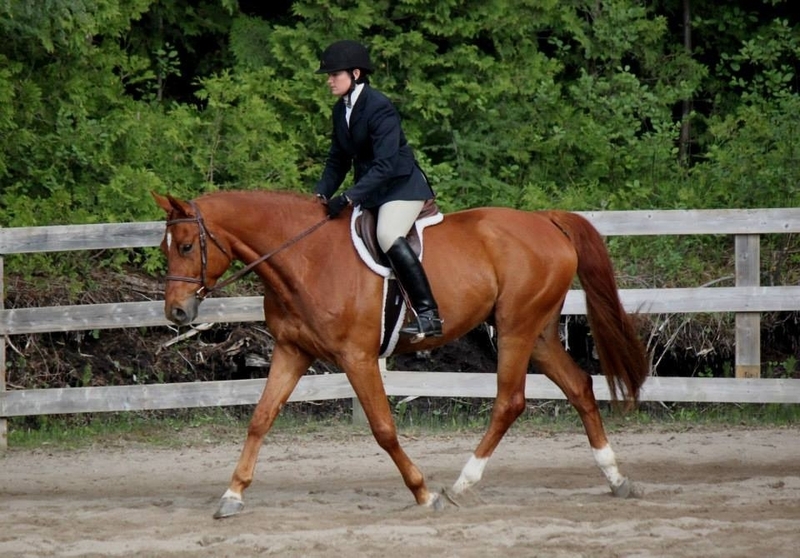 2010 Trakehner Gelding - Sold! 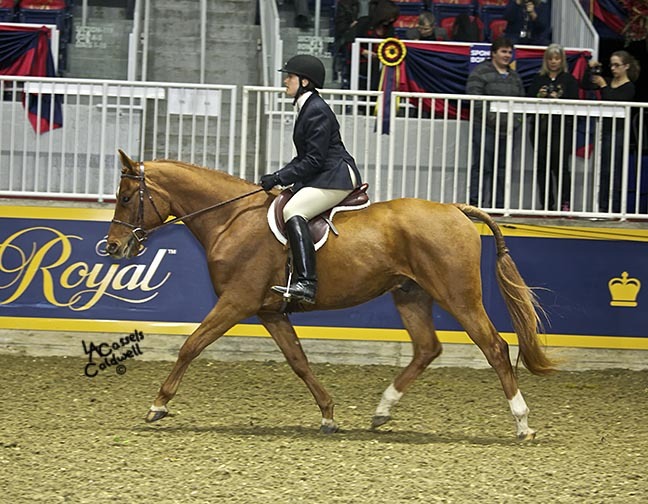 As a 3 year old, Marvelous finished 4th in the prestigious and very competitive 2013 Royal Agricultural Winter Fair Lietenant Governors Cup class! 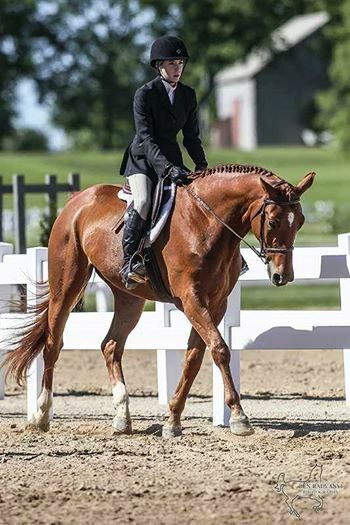 Marvelous is a stunning registered Trakehner by Deacon out of May Pearl. He is typey, conformationally correct and is a very balanced light mover. He carries the bloodlines of the legendary Salut and Flaneaur. 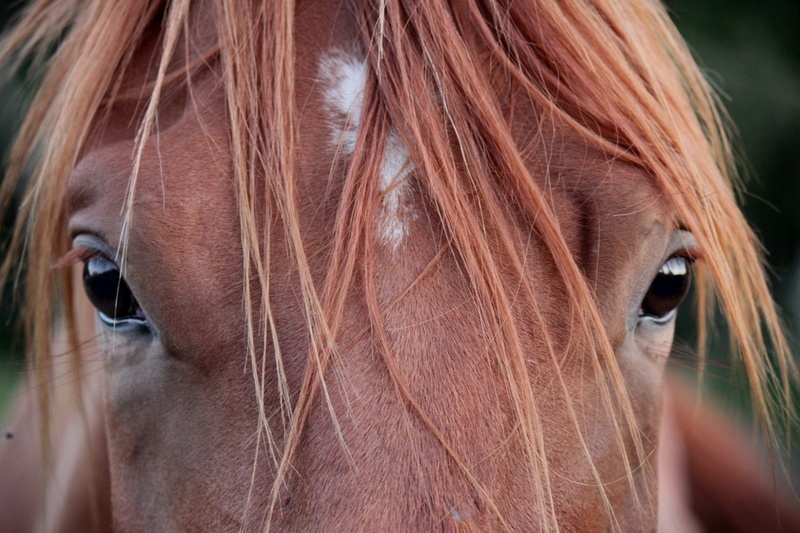 Marvelous is a kind and sweet gelding who loves attention, he has tons of personality! He stands quietly on cross ties and is happy to be groomed. Marvelous has had extensive ground work including lunging and long lining, and has taken it in stride. 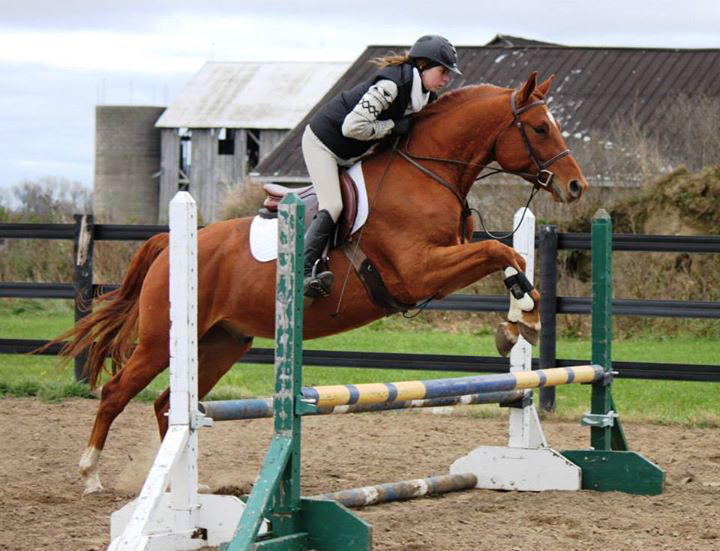 He is going beautifully under saddle and has started lateral work, flying changes and jumping 2'9" courses. 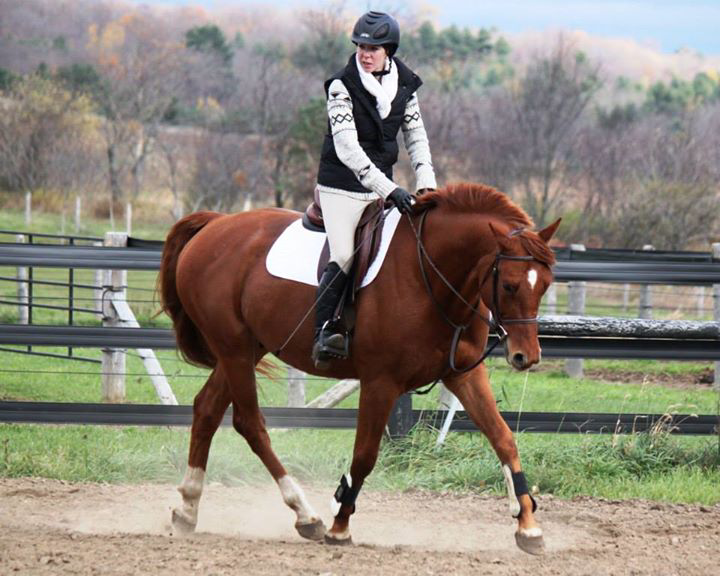 He has been schooled off property regularly, walks on trailers easily, and has been out on hacks. 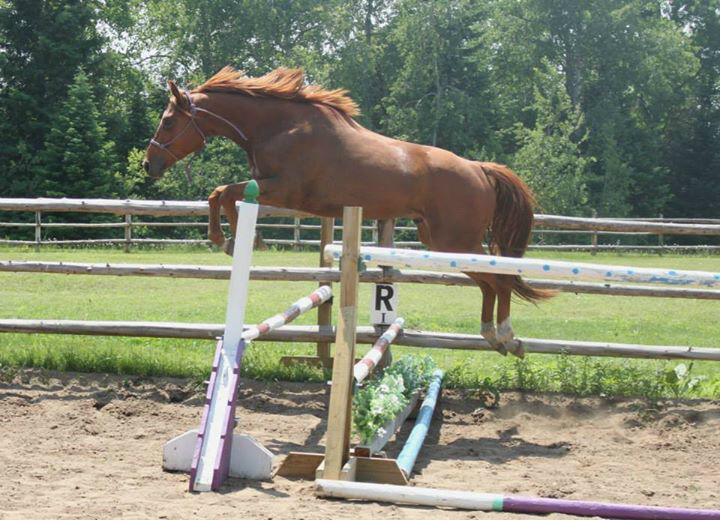 Marvelous shows great form while free jumping, tight knees with athleticism and scope. He's a quick learner who loves to please. Marvelous is an easy keeper and is up to date on vaccines, trims and deworming. He has no injuries, or vices and is sound. Marvelous is expected to mature at 16.1h, he currently stands 16.0h. 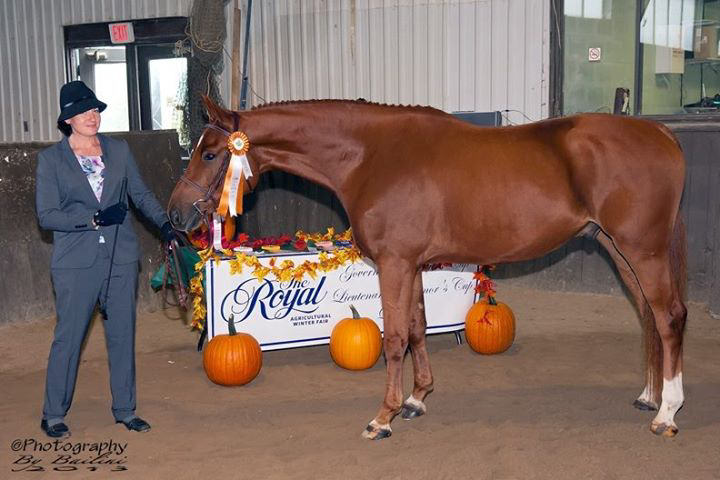 Marvelous went to his first hack division May 2014 at a trillium show and won his first class, with compliments from the judge on his beautiful movement. His behavour was perfect and that of a seasoned show horse. 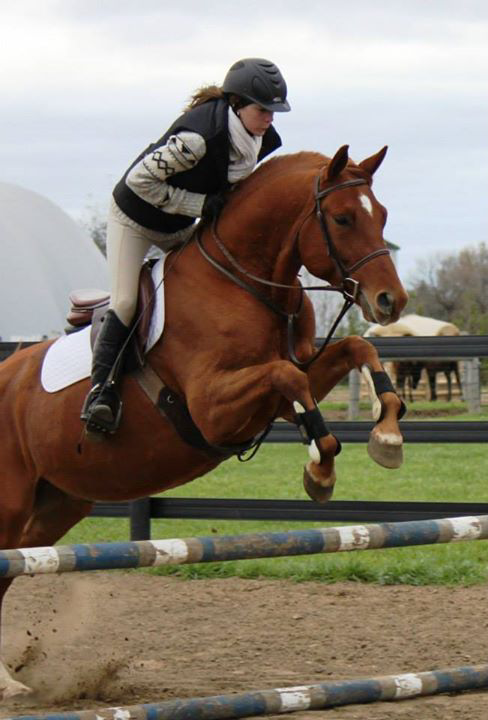 So far in 2014 he has pinned very consistently in all the hack classes and has even finished champion in a division of 15 horses, and against very competitive and seasoned show horses! Marv successfully qualified for Trillium Championships, and placed 2nd in the road hack, 2nd in the show hack, and 5th in the pleasure hack, against 33 of the top hack horses in Ontario. 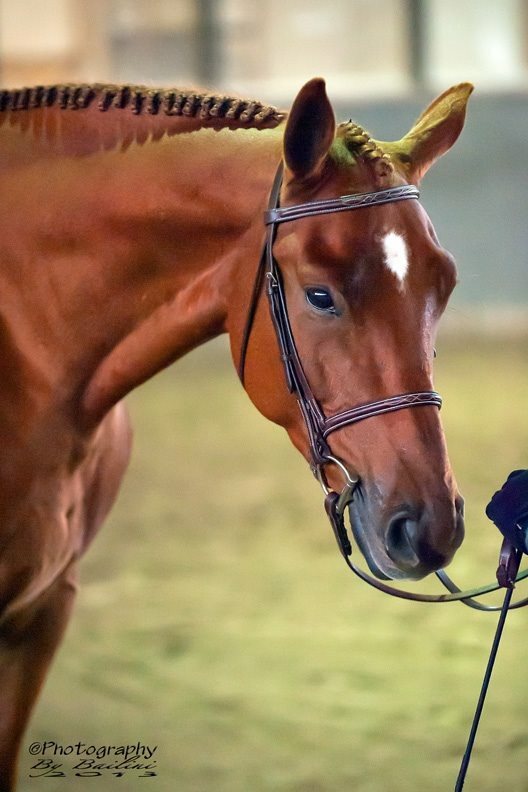 This gorgeous gelding will excel in the "A circuit" hunter ring with his classic flat kneed pretty movement, and scopey jump. He is ready for the "A circuit" next summer!